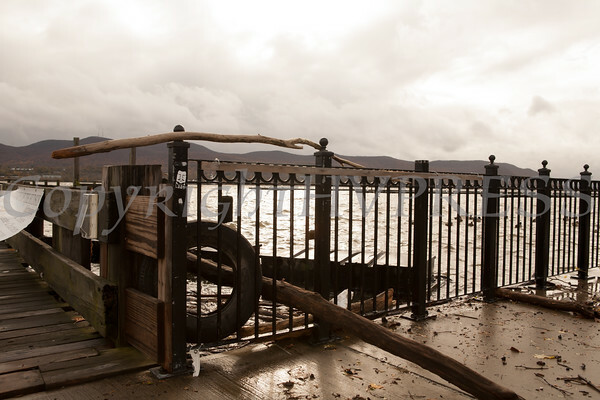 Hurricane Sandy caused widespread damage in the Hudson Valley late Monday into Tuesday, October 30, 2012. Huge amount of debris, including this tire and drift wood, were pushed on shore as the Hudson River was flooded at the Newburgh waterfront by Hurricane Sandy, which caused widespread damage in the Hudson Valley on Tuesday, October 30, 2012. Hudson Valley Press/CHUCK STEWART, JR.